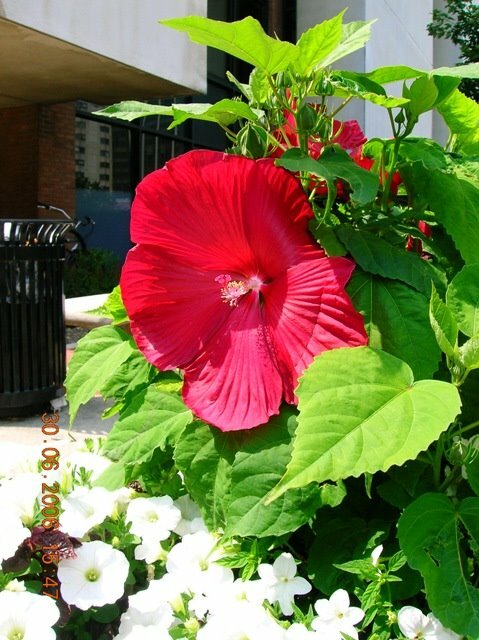 Sharan Sharma: Ann Arbor Flora : Hibiscus or Dish-Antenna? Wow. What camera is that? And where are all these flowers from? This is my ex-camera (now in coma) a pretty basic Nikon Coolpix 4600. The flowers are from a building close to my department on the UofM campus.